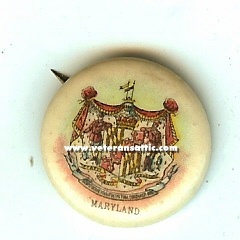 A nice pinback issued commerating the state of Maryland. The pin is approximately 7/8 inches wide. 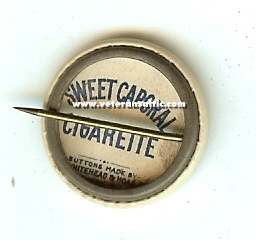 The pin was made by Whitehead & Hoag Co., Newark, NJ in 1896.